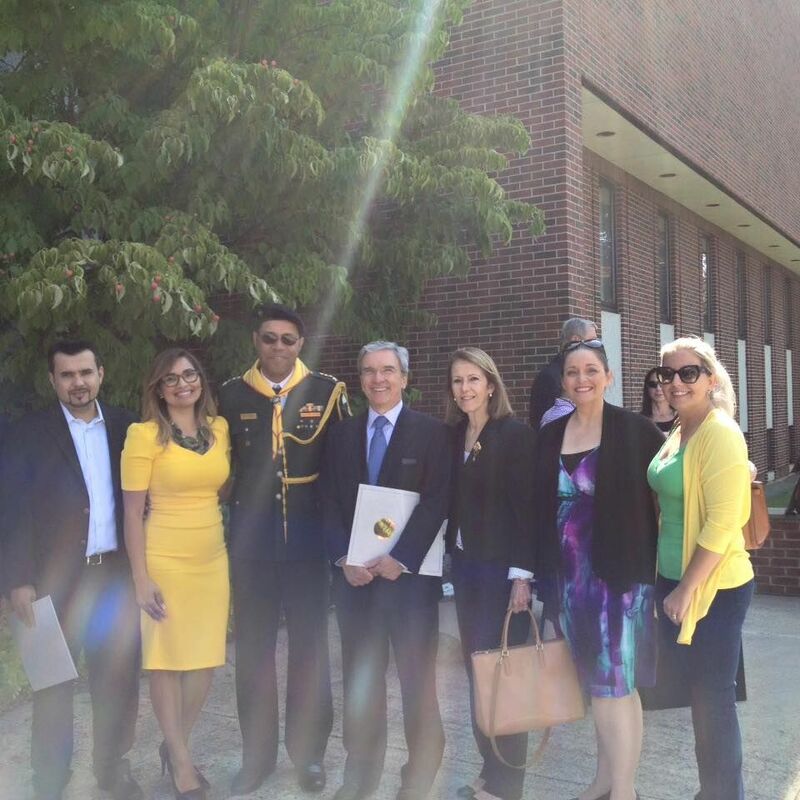 Dignitaries, residents and members of the local business community gathered on the morning of September 4 to celebrate the 194th anniversary of Brazil’s Independence from Portugal at the Heritage Plaza, located at Danbury City Hall. 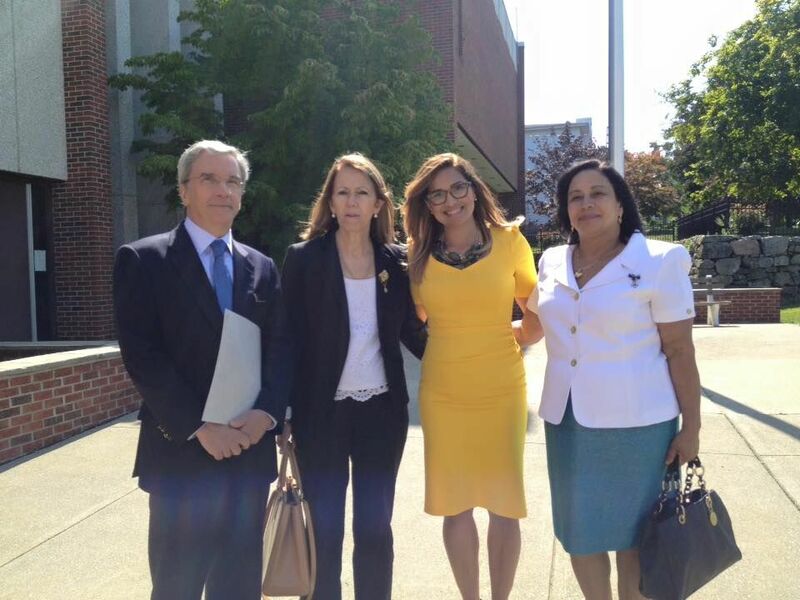 Celia Bacelar Palmares, founder of Tribuna Newspaper, who initiated the Brazilian flag-raising ceremony in the cities of Danbury and Bridgeport, invited guests to reflect about the importance to remember where we come from. 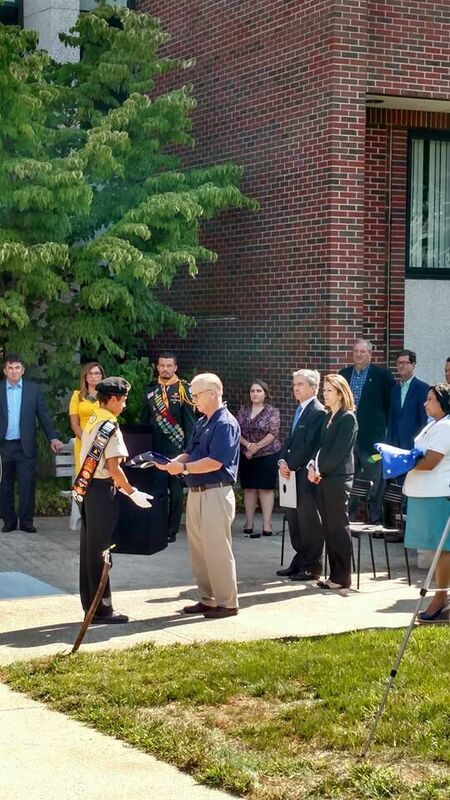 “Today, everyone in Danbury is Brazilian,” said Danbury Mayor Mark Boughton, adding an explanation about the creation of the Heritage Plaza to celebrate Danbury’s history and cultural diversity. 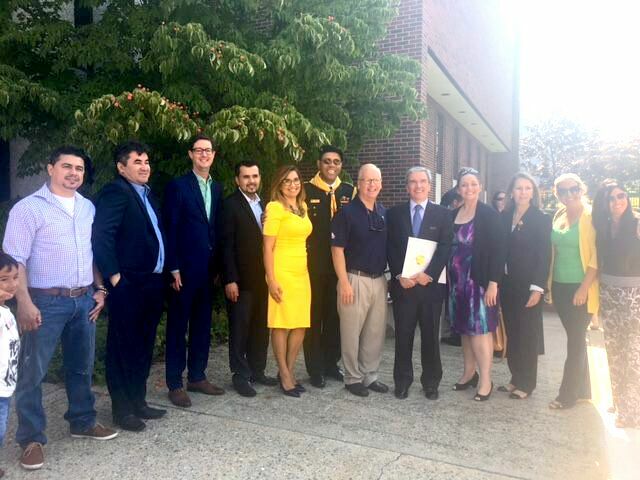 Mayor Boughton presented proclamations to the owners of Planeta Brazil Bar & Grill, Ananias Luis, Gilvano Amaral and Rubens da Silva, for their entrepreneurial vision to open the first Brazilian rodizio steakhouse in Danbury, the Consul General of Brazil in Hartford Ambassador Fernando Mello Barreto for fostering a relationship with the city of Danbury where the largest concentration of Brazilians in CT dwells, and Durants Party Rental for their outstanding community involvement. 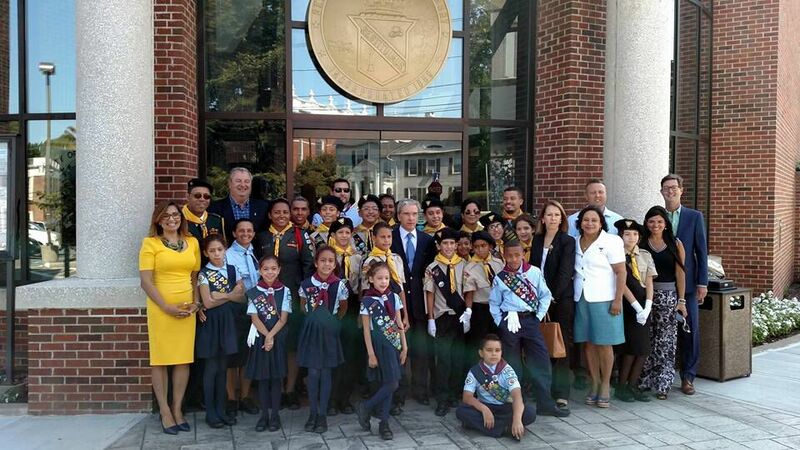 Both the U.S. and the Brazilian flags were raised by scouts of The Pathfinder Club, a worldwide program organized and directed by the Youth Department of the General Conference of the Seventh-Day Adventist Church. 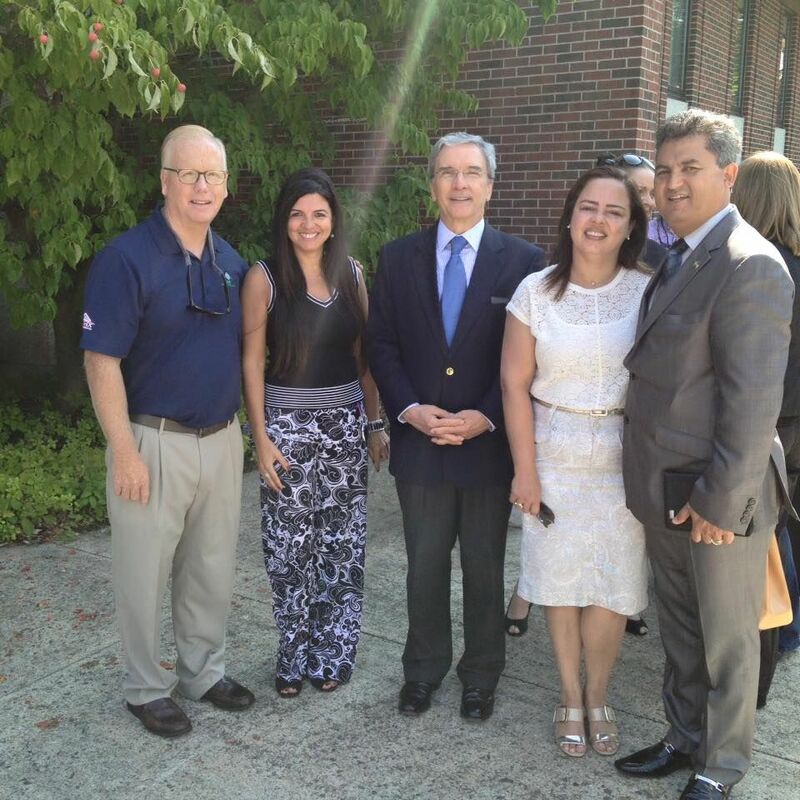 Danbury resident Maria Lostocco interpreted the U.S. anthem. “So today, as we celebrate Brazil’s independence, let us also celebrate our journeys as immigrants, and the land we call home, and our hope for a brighter future for Brazil,” concluded Emanuela Palmares.